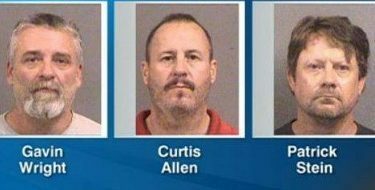 A militia member who tipped off law enforcement to an alleged plan by three men to bomb Somali immigrants in Kansas is expected to testify at their trial. Jurors will hear the testimony of Dan Day on Thursday. The paid informant wore a wire for the FBI, capturing months of profanity-laced recordings that are key to the prosecution’s case. Patrick Stein, Gavin Wright and Curtis Allen are charged with conspiracy to use a weapon of mass destruction and conspiracy against civil rights. Stein also faces a weapons-related charges and Wright faces a charge of lying to the FBI.